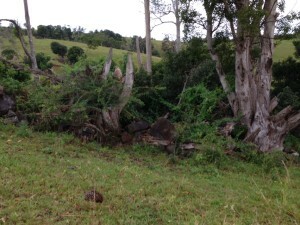 Motorists urged to look out for roaming echidnas – Northern Rivers Wildlife Carers Inc. This winter, the Northern Rivers Wildlife Carers are urging all motorists to keep a look out for roaming echidnas. Winter is their breeding season, and it’s this time of year when they’ll be regularly seen trying to cross roads in search of a mate. Roads are hazardous for echidnas, with many injured or killed by motor vehicles every year. Pictured here is an echidna rehabilitated by the Northern Rivers Wildlife Carers, after it was hit by a car. Echidnas are rarely seen any other time of year. 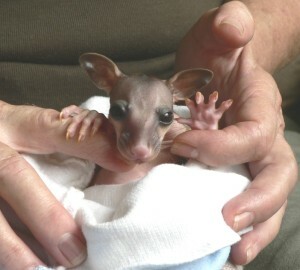 They don’t cope well with warmer weather and spend most of spring and summer, sheltering from the heat. The cooler temperatures of winter enable echidnas to be active both day and night. Roads are their biggest hazard, with many echidnas injured or killed by motor vehicles every year. An echidna’s natural defence is to curl into a ball, presenting only their spines, until whatever is threatening them disappears. On sensing an approaching car they dig into the bitumen and curl up, leaving them very vulnerable. That was the case for a small echidna that was hit by a car near Newrybar last month. Luckily for the animal, the person who was driving the car stopped and retrieved the injured echidna. Echidnas can often sustain serious, life-threatening injuries after being hit by a car- yet show no outward sign that they are hurt. Many injuries are only identifiable by x-rays and ultrasounds, so if you suspect that an echidna has been hit by a car it is important that you ring the Northern Rivers Wildlife Carers so it can receive prompt treatment. Luckily for the rescued echidna, an abrasion to the end of its nose was the only injury it received. After a couple of weeks in care, the echidna was released back where it was found. 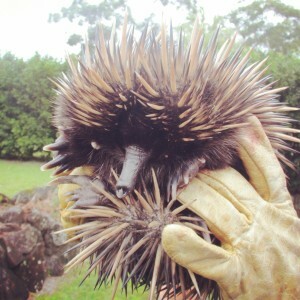 The echidna was released back into the wild a few weeks later, near where it was found at Newrybar. This winter if you find an injured echidna please call Northern Rivers Wildlife Carers on their 24 hour rescue hotline 6628 1866 for further advice. People are encouraged to store the rescue hotline number in their mobile phone for easy reference. For seabirds and marine turtles only ring Australia Seabird Rescue on 6686 2852 and for koalas please ring Friends of the Koala on 6622 1233.